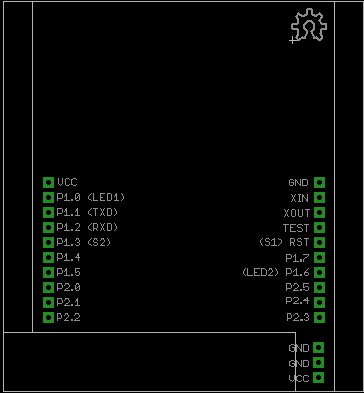 Yes, it is a TI LaunchPad shield pcb design template I've made in Eagle for future projects. It has two sizes wide and narrow and you can cut opening to show LaunchPad leds. The source is at code.avrnoob.com hosted by Bitbucket.